The Astrogator’s Map Pack has everything you need to map your science fiction roleplaying game universe! 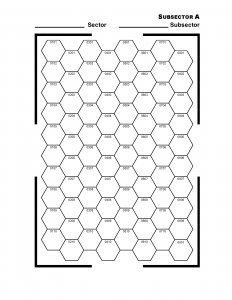 The Astrogator’s Map Pack contains 16 standard 80 hex grids – enough to map an enitre sector of space! Each subsector hex grid is numbered using sector hex location numbers in the familiar format. 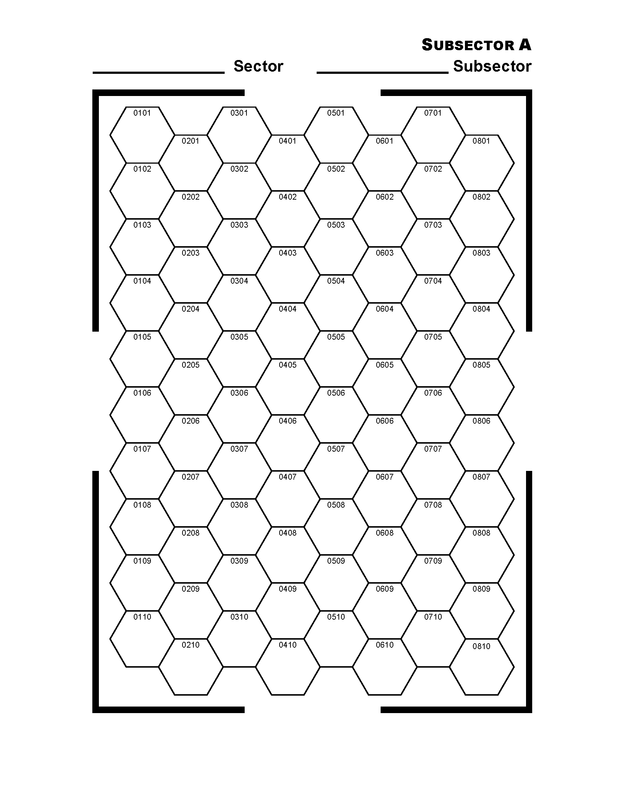 These hex grids are ideal to use as a starting point when developing your own SF RPG universe. Download a copy of the Astrogator’s Map Pack for only $ 2.99 from our DriveThruRPG.com page!